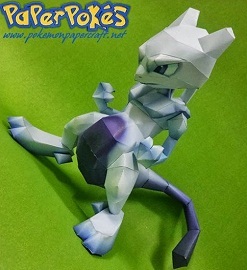 Mewtwo is one of the first Pokémon created by science. It is a bipedal, humanoid creature with some feline feature. This entry was posted in Pokemon on 28/02/2015 by ToyXD.